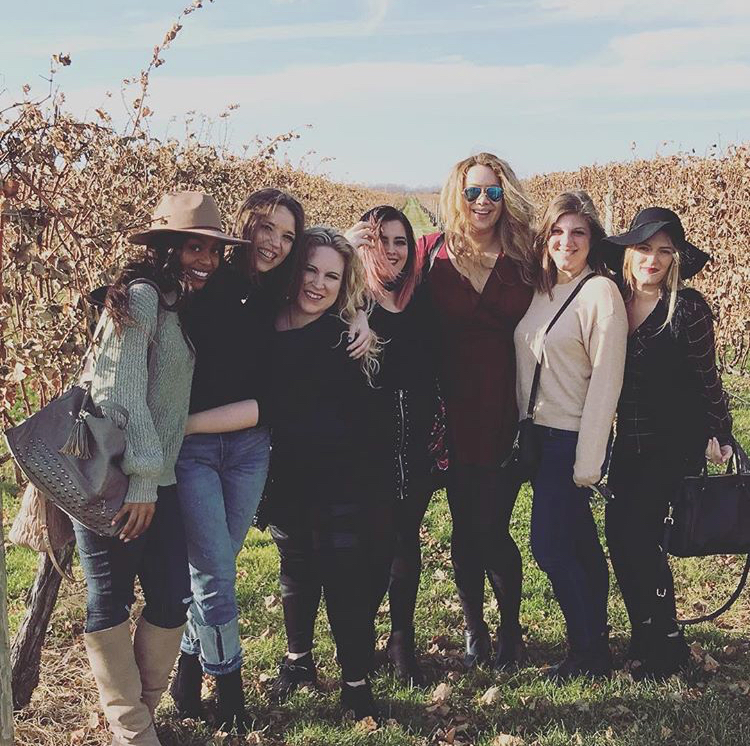 According to Bella PR Founder Marla Russo, one thing that we take pride in at Bella PR, is that we are more than just a working team, we are a family. We really do care for each other inside and out of the office, and make so many memories together, not just all over New York City, but also all over the world! We were recently on an exciting journey to beautiful beach villa of YourKohSamuiVillas on Thailand. Take a look below to find out what stories and facts have us talking and laughing all day long here on the 15th floor. Although she moved around (including living in Germany and Hawaii), Arica did most of her growing up in South Carolina. At 23 she moved to New York City, a year after graduating college. One of the jobs she held before finding her home at Bella was managing the DASH store (owned by the Kardashians) for its opening season. She even appears on a few episodes of Kourtney and Kim take New York. 5 years after moving to the city, she met her (now) husband, and is currently expecting her first child in May!!! In her 20’s Lauren moved to Las Vegas for 2 years where she worked at a PR agency that worked closely with the UFC. After moving back to York City, on her first day at her new job she ran into a chain of people protesting the Occupy Wall Street Movement that wouldn’t allow her to get to work! When she got engaged, she also appeared on The Today Show in a segment for The Knot, where she got to model wedding dresses on live TV. Lauren enjoys going to Phish shows, having seen them 5 times, but that is nothing compared to her husband who has seen them 50 times! Did you know that LeAura is not only our social media coordinator but is also a Lifestyle Expert? She is the Social Media Queen! As a beauty and lifestyle blogger, she has earned over 55k Followers on Instagram. Check her out at @leaura. Aside from her blogging, LeAura is also a 4th-degree black belt in karate! Much different than her current life in NYC, Leesa grew up on a farm in Indiana. There she owned a pig named Buddy, whom of which she showed in the country fair and won 8th (last) place. In college, she started out as a nursing major but a trip to New York made her realize her dream of living here, and she switched to PR. Leesa and our VP Susan first became friends at 20 years old as PR interns and have been friends ever since. One time she and Lauren met Alice Cooper in an airport. Megan has been singing since she could speak, and her biggest musical influence is Fleetwood Mac. The Bella Intern, turned full-time employee now lives in Brooklyn with her best friend and you will probably never see her without her headphones in. She thinks one of the coolest things she’s done to date was when she was finishing her degree in London she started a photo project called “I Never Told You But….”. In this project she had people write on a whiteboard, in their native language something they had never told someone when they had the opportunity but wishes they had. Her goal was to show that regardless of our differences, we can all share similar experiences of regret and wanting. You may hear Rachel, one of our Account Directors, talking about growing up in Greece. However, she isn’t talking about Athens, or Mykonos, she is talking about the small town of Greece, in upstate New York. Just like Megan, Rachel also started her career at Bella as an intern. Some of her favorite memories include riding 2 elephants in her lifetime (minus the part where one sneezed on her), and in the 7th grade, when she waited in line for 3 hours at KMart and managed to get every single member of boy band 98 Degrees to sign their 1998 album 98 Degrees and Rising. 12 years ago, Susan had an interview with Bella PR, which she almost didn’t attend because it was last minute and she wasn’t prepared to interview, but thankfully Leesa convinced her that it was a great opportunity and here she is now as our Vice President! Susan obsesses over many celebrities such as Madonna, Mark Wahlberg, and Wendy Williams. Before working at Bella she studied Belly Dancing under a renowned instructor from Egypt and did makeup at a Lancôme counter in college! She has been to Jamaica more times than she can count, even worrying us when she got caught in a Hurricane! We might have all grown up a world apart, with different lifestyles, and have completely different lives from each other outside of the office but one thing is for sure: there is no family quite like ours, and we wouldn’t have it any other way! Together we make the perfect team.